Creating a marketing budget? Consider these 6 steps. Do you wonder how much money you should allocate to marketing? I get this question all the time. Typically, the business owner will proactively provide their thoughts on approach including: a percent of revenue, an uptick (or downtick) from the previous year, or a lump sum that just feels comfortable. And my response is always the same. I build the budget from the ground up, every time, based on the needs of the business. So, for me there is no blanket answer but rather a methodology that I’ve developed that is very practical and easy to follow. 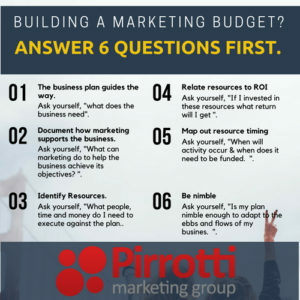 We have a fantastic free toolkit that includes a video, sample budget and blank budget template at Pirroti Marketing that will guide you through the process that will help you with budgeting in no time! But since you are here and reading this blog post let me run you through some very important points to start thinking about. In my experience, budgeting is not about dropping numbers into a spreadsheet. The BSA Budgeting tool guides members through the process of building a marketing budget that is in support of the business goals and objectives. This template provides the foundation to track back measurable results to each expenditure so that the business is optimizing their return investment. There are six steps that you can start working through right now. First: Your business plan will guide the way. Now, this may sound obvious but I’ve had conversations with marketing people who are trying to build budgets but have no idea what the end game is for the business, or even simply what the revenue targets are. 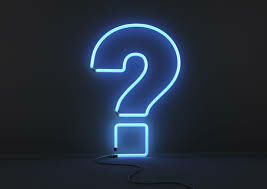 So, the first question must be: What does the business need? Second: Determine how marketing will support the business in fulfilling that need. For example, does the business need more awareness, more leads, increased conversion, hiring talent, etc. Third: Allocate the resources (people, time and money) to get you there. Who will execute against the plan? Is this an FTE, outsourced hire, and/or are current resources avail? 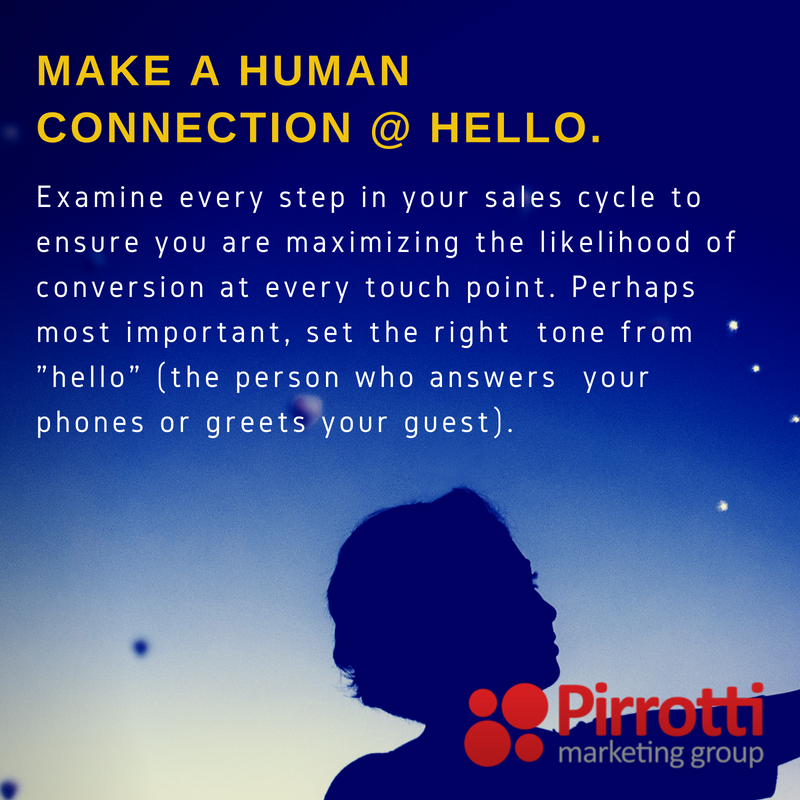 How much are you willing to spend on generating a lead, hiring a new employee, raising awareness, increasing conversion. Well, how much really depends on the business outcome. Review the return on investment in silos (by activity) and then look at the plan holistically. Why? Some efforts may cost more and have a lower ROI but the overall strategic plan may make sense. Fourth: Relate the resource (people, time, money) back to an anticipated return on investment. This step is so important and often overlooked. I don’t care if you must guess – all marketing outreach must be measurable and accountable. If you don’t have systems in place to do so you are simply throwing money out the window. TIP: Ensure that the labels you use for your marketing budget are the same that finance uses. Again, this may sound obvious but I’ve worked with many companies where marketing calls an expense one thing and finance calls the same expense another thing. Having these silos in business makes it close to impossible to track back ROI. Fifth: Map out the timing of your expenses – when you need to fund the effort. Of course, timing depends on the lifecycle and seasonality of the business. Sixth: The budget must be fluid to allow for optimization. Monitor and allow for re-allocation of resources based on what’s working and what’s not as well as the ability to be nimble with timing. Do you need help with your current 2018 budget or planning for 2019. let’s connect.